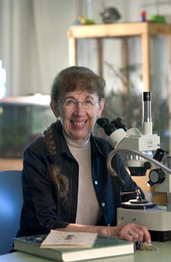 Laurel Hansen has taught at Spokane Falls Community College since 1968 in the fields of biology, zoology, entomology, and pesticide education. She completed her B.A. at Eastern Washington State University, her M.S. and Ph.D. at Washington State University and has served as an adjunct professor at both universities. She has continued to study carpenter ants and other ants and has been involved in a number of research projects involving biology and control of ants since 1979. Her work has been published in trade magazines for the pest control industry and in scientific journals. She received the Orkin Award for Research Excellence in 1993 and in 1999, the PCT/Syngenta Professional Crown Leadership Award: Class of 2006. Laurel was inducted into the PMP Hall of Fame Class of 2015.